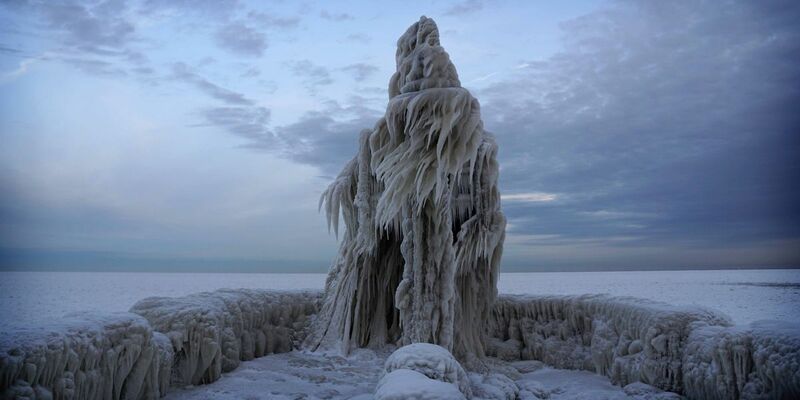 AVON LAKE, OH (WOIO) - The fishing pier at Miller Road Park in Avon Lake has become a sort of destination after this weekend’s winter storm left it resembling a massive ice sculpture. The wind that splashed water onto the pier left the railings and lights covered in icicles that have a permanent wind blown effect. When pictures of the fishing pier started to circulate on Facebook several residents said they needed to see the ice for themselves. With warmer temperatures on the way the pier may return to normal, but no worries, winter isn’t over yet.